Successful transactions have typically been about finding the right deal, at the right time, with the right company. As deal sources and channels become more fragmented, it becomes increasingly difficult to find quality engagement. CapTarget provides an efficient strategy to source scalable deals and detect investment opportunities that others can’t find. In this scenario, we present two dealmakers to display the added value of CapTarget. Traditional firms can use the old-fashioned networking method that identifies about 200 prospects per year. With CapTarget, our brand management provides strategic exposure to potential clients while avoiding drawn out and arduous research that generates an average of 200 prospects per month. 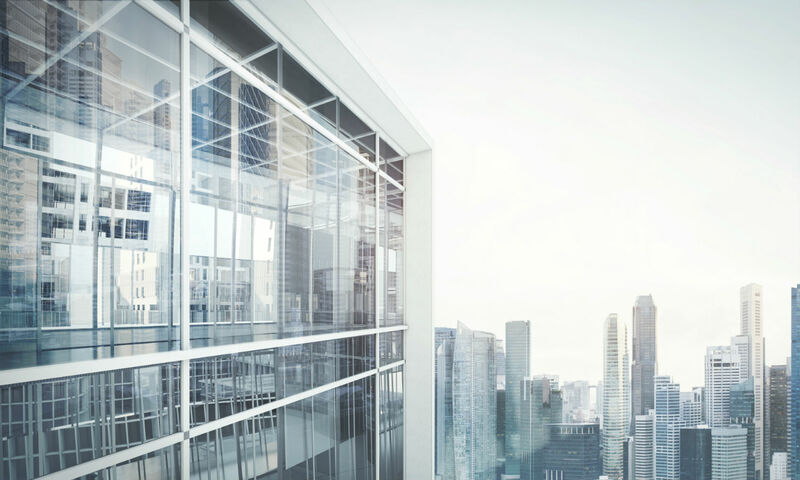 Assuming both firms have an engagement rate of 2% with prospects and a closing rate of 30% on those engagements, Firm 1 is expected to close 14 deals versus the one deal of Firm 2. 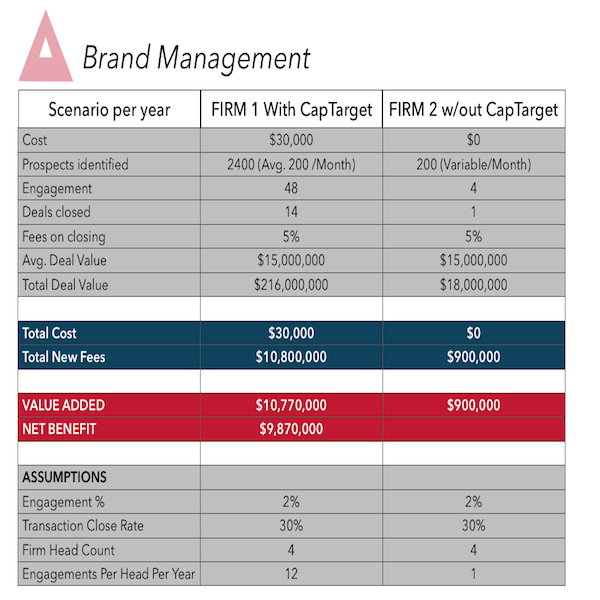 To take it a step further, assuming a 5% fee on each deal that averages about $15 million, CapTarget helps produce about $9.9 million in net benefit. Our tools create exposure to large amounts of quality deal flows and deliver personalized marketing services which set winning professionals apart from the rest.